We are in full summer time mode here in North Carolina. What is the first thing that you remember about summer from when you were a kid? Anything messy come to mind? How about s’mores, popsicles, painting, toad trapping and overall tons of messes? These Oreo S’mores Popsicles take two summer favorites that make an ooey gooey mess that everyone can love. Growing up I remember tons of messes during the summer. I got into everything and the messier I was by the end of the day, the better the day was. My girls are not big on getting messy. Unless of course it is totally worth it. I have two little princesses on my hands. Luckily, my youngest is more willing to get messy than my oldest. 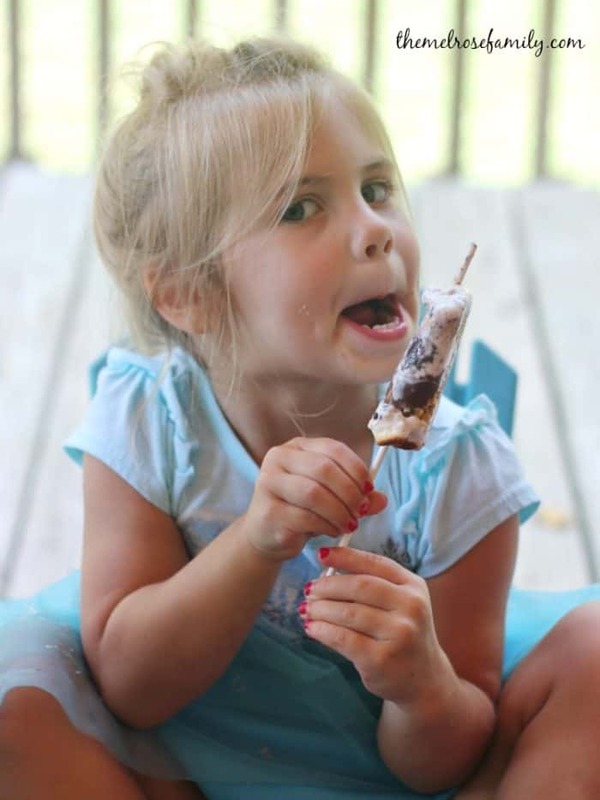 I was inspired by the limited edition Oreo S’mores to create this popsicle. It has the ooey gooey marshmallow with the graham cracker crust and chocolate center all layered inside of cookies and cream ice cream. It’s the best of both worlds and my youngest wasn’t willing to miss a drop. If I had let her lick the platter that I served them on clean, I’m pretty sure she would have. 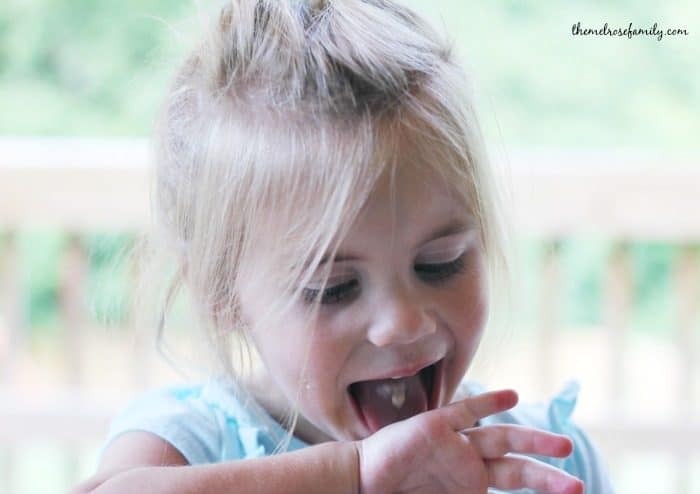 Luckily, Wet Ones® Hand Wipes at Walmart make clean up a snap. Most people go back to school shopping just before school starts. Well, I go spring into summer shopping and I always load up on Wet Ones® Hand Wipes because I know that Summer means messes and the easier it is to clean up the more peace of mind I have. 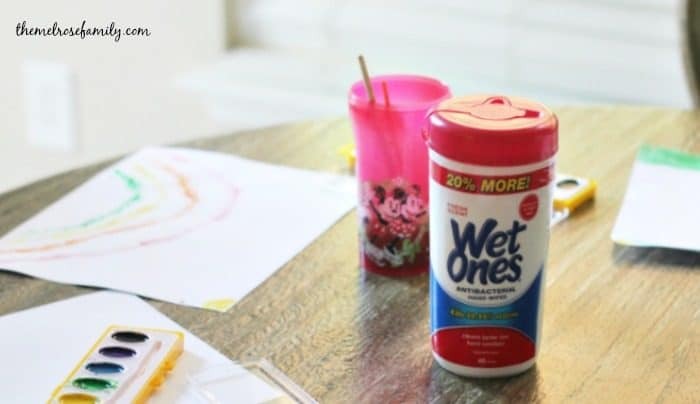 Wet Ones® Hand Wipes are not only perfect for sticky icky messes, but they’re also perfect for all sorts of arts and crafts. From finger painting to watercolor painting, Wet Ones® Hand Wipes has you covered. 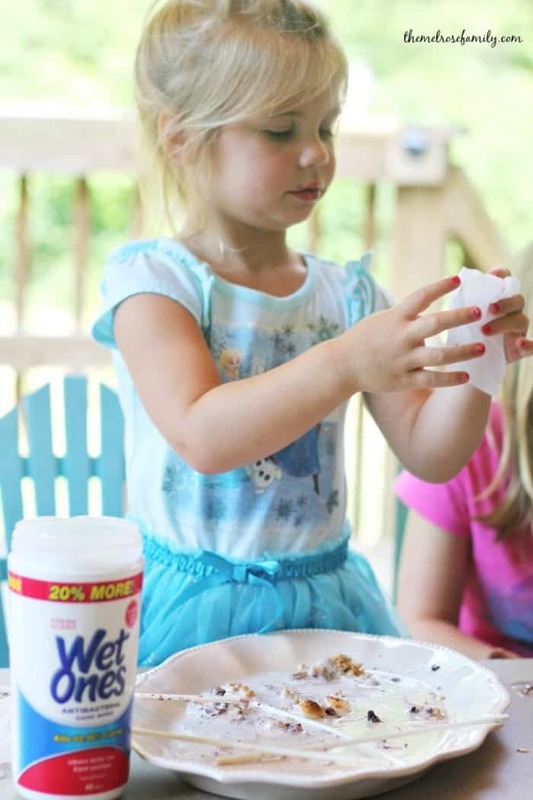 So let the kiddos get messy this summer knowing that Wet Ones® hand wipes can handle the mess as well as keep your little ones hands silky soft. Summer time got you craving the perfect dessert? 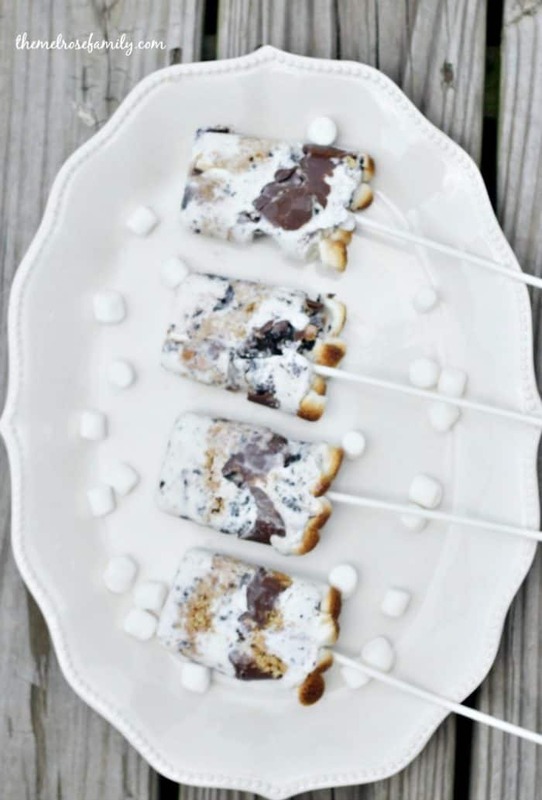 Nothing gets much better than these Oreo S'mores Popsicles for all things Summer. In a popsicle mold place a tablespoon of cookies & cream ice cream as the first layer. Combine the crushed graham crackers with the melted butter as a layer on top of the ice cream. Place a second layer of cookies & cream ice cream in tablespoon spoonfuls on top of the graham cracker layer. Melt a 1/4 cup of chocolate morsels and place tablespoons sizes on top of the ice cream. Place a third layer of cookies & cream ice cream in tablespoon spoonfuls on top of the chocolate layer. 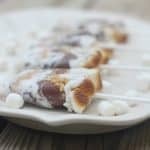 Place the marshmallows on a cook sheet and broil the marshmallows on high. Place the broiled marshmallows across the bottom of the popsicles. Stick a popsicle stick all the way to the bottom of the popsicle mold. What will you use Wet Ones® hand wipes for this summer?